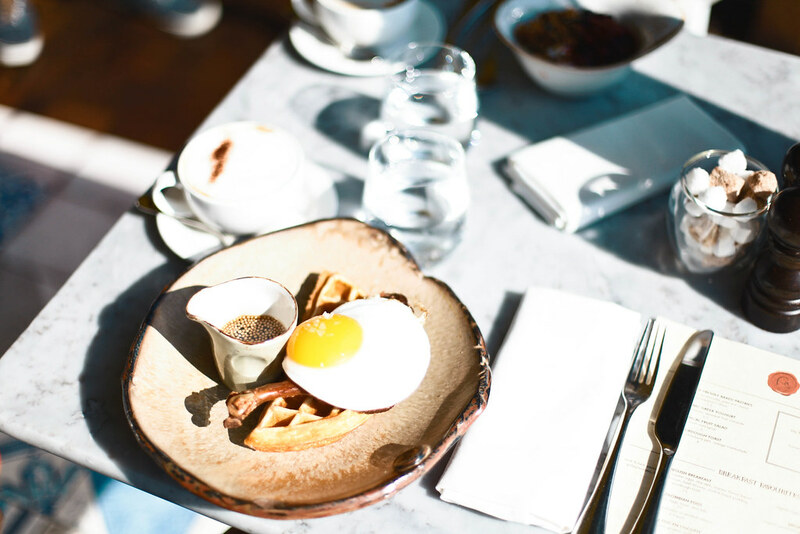 London has an endless number of fantastic breakfast eateries so choosing the best in the city simply comes down to preference. What I look for in a perfect breakfast place is a beautiful interior, flawless flat white, delicious menu and healthy options. Every one of the places I’ve chosen ticks all of the above boxes and has something extra special about it. Be it a wall of wild botanicals, marble countertop or panoramic views over the city. 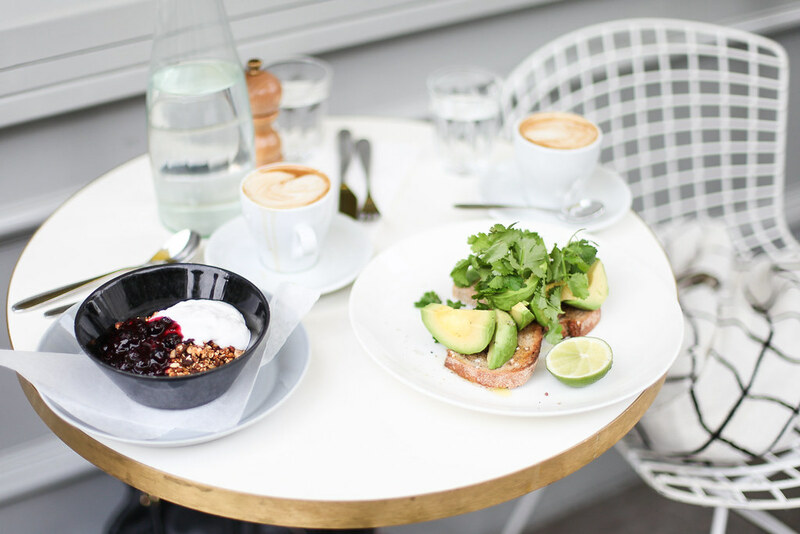 I am proud to share with you my all time favourite breakfast spots in London. 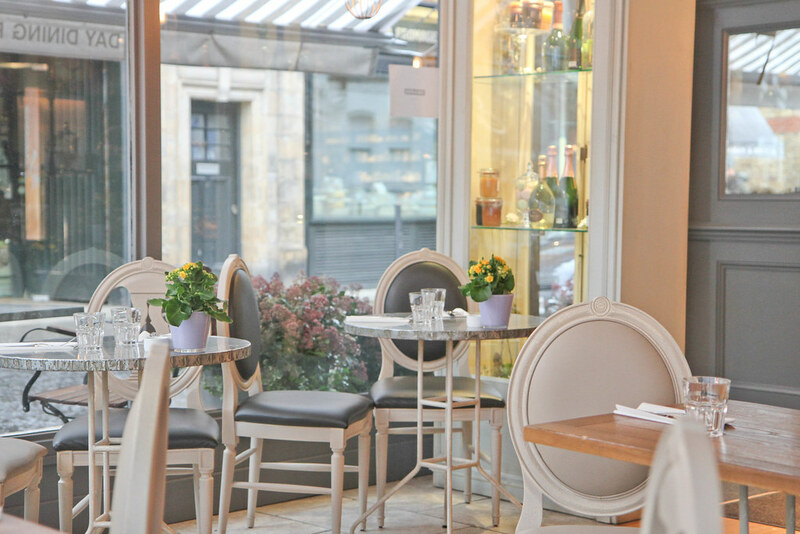 Nopi is an all-round wonderful spot; it boasts a celebrated chef; stunning interior and delicious dishes. The interior is an Instagrammer’s dream with clean, slick walls, hanging brass lights, gold and marble details and bouquets of fresh flowers. If you fancy something sweet go for the French toast served with star anise sugar, berry compote, orange yoghurt but if you fancy something savoury then you must order the famous Israeli dish; Shakshuka; which consists of eggs baked in a spicy tomato sauce with smoked labneh. Trust me, it is so good. Words cannot describe how perfect this place is. Botanical plants decorate the interior, light pours in from the floor to ceiling windows and art-deco arm chairs boast bold prints of leaves. Bottomless brunches are what everyone is ordering with fiery Bloody Mary’s flying out of the bar. I’d recommend the drop scones with clotted cream, berry and honey paired with a creamy flat white. 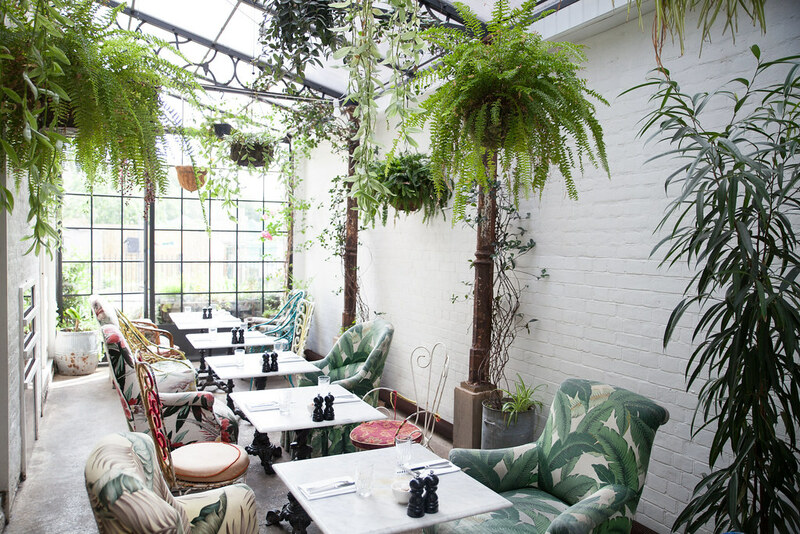 The second Ivy to open in London and a welcome addition to Chelsea’ brunch scene. Interiors and exteriors are on point from the leafy terrace to the plant-strewn conservatory. 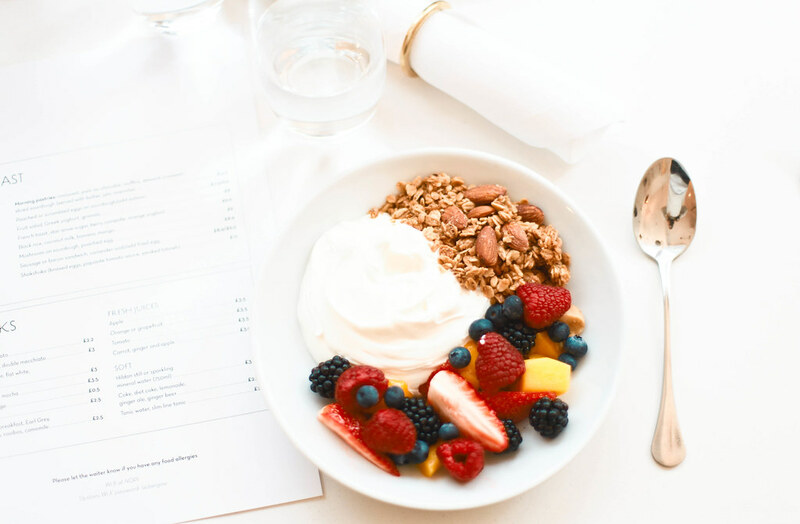 An expansive breakfast menu caters for the gluttonous and the health-conscious alike. 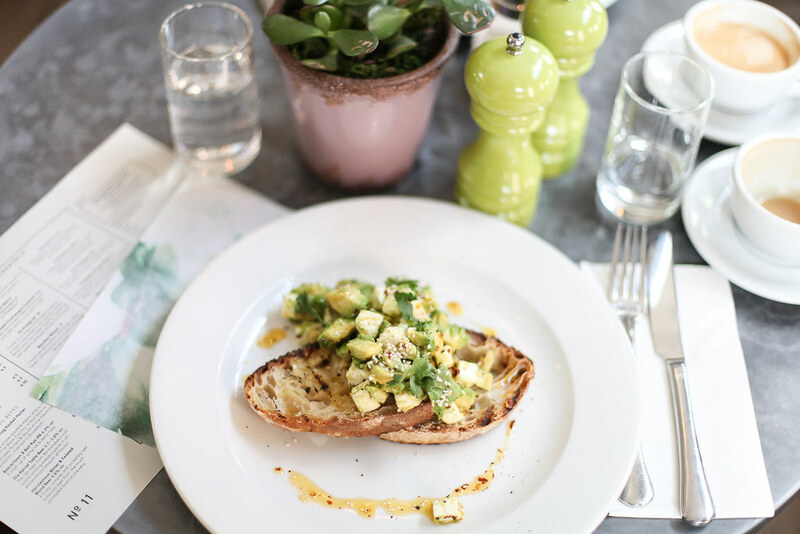 Those wanting to indulge should order the truffled scrambled hen’s eggs served with toasted brioche and those wanting to be healthy should opt for crushed avocado, coriander and pomegranate on dark caraway toast from the light and healthy menu. Londoners flock to this reputed restaurant as much for the staggering views over the city as for the flawless food served inside. Order the signature duck and waffle; crispy duck leg confit, fried duck egg dressed with mustard maple syrup, I promise you won’t regret it. The best part? It’s open 24/7 so breakfast can be as early or as late as you want. 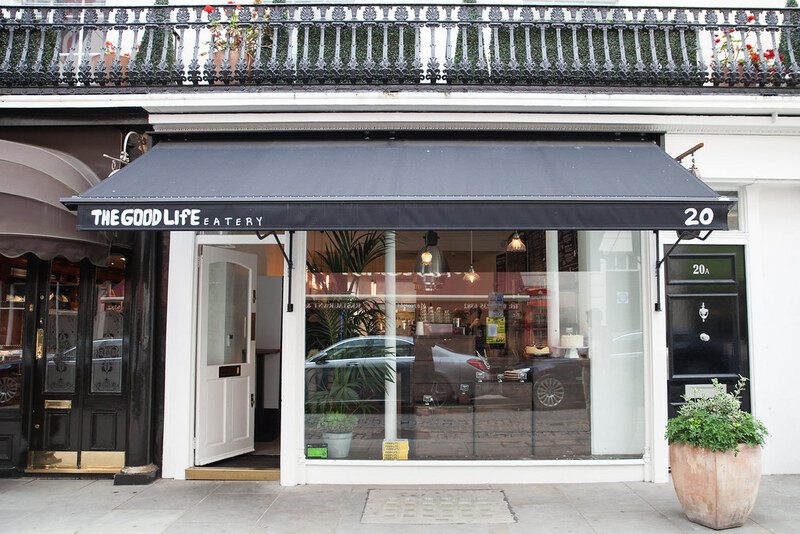 A favourite with Notting Hill’s trendy crowd, expect to queue for a table here especially on the weekend. Granger and Co. offers a killer breakfast to satisfy a mean appetite. Popular dishes include ricotta hotcakes with banana and honeycomb butter and the fresh Aussie - tea smoked salmon, poached eggs, greens, avocado & cherry tomatoes. I’ve eaten arguably the best granola of my life here, completely vegan and served with coconut yoghurt and homemade fruit compote. The Good Life Eatery is one of those places that just gets everything right. 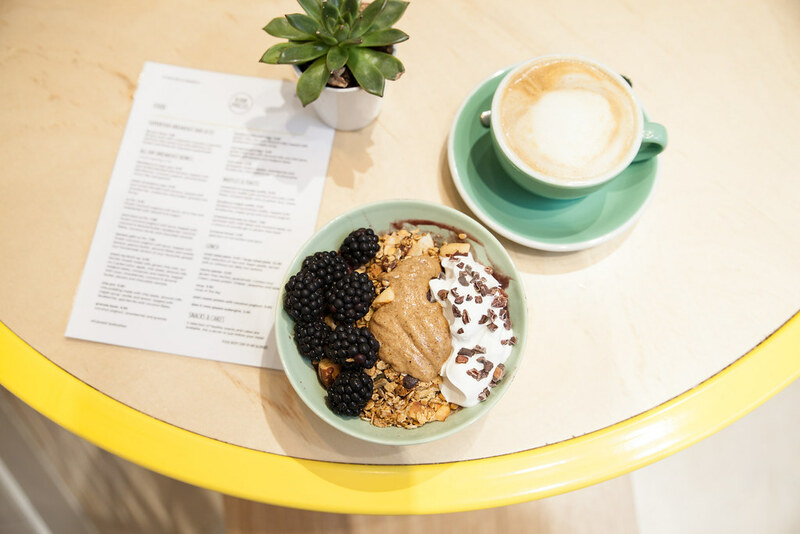 It has become an enormous hit with health-conscious Londoners and expats who come for the killer breakfast menu. They serve a mean acai bowl, rainbow coloured cold pressed juices and lots of low calorie yet super nutritious options. This Californian-inspired café has lots of charm and a laidback vibe. If you’re in the mood for something sweet opt for the ricotta pancakes with berries, figs, honey and crème fraiche or if you fancy something savoury choose amongst the extensive classic egg dishes on offer. This multifunctional spot is open all day and evening and serves everything from an early morning espresso to a late evening nightcap. It has a circular cocktail bar in the center of the main dining room so you can count on a wicked Bloody Mary shaken by expert bartenders to accompany your breakfast. Breakfast favourites include crushed avocado and feta on sourdough toast and No. 11 Eggs Royal with homemade hollandaise sauce. Order a selection of breakfast dishes to share between the table at this convivial eatery. 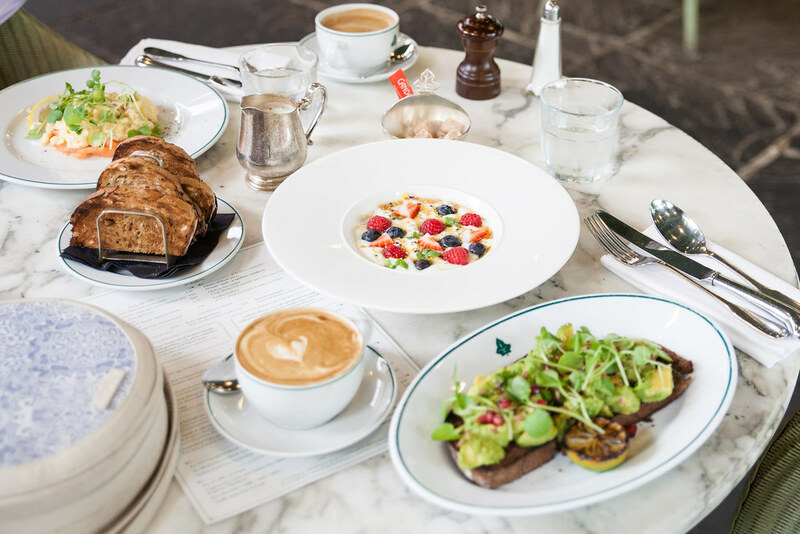 Aubaine is a French restaurant offering traditional French breakfast fare to Londoners who contentedly devour every last croissant crumb from their plates. The croissants are fluffy and buttery, the interior pastel hued and feminine and the bread as good as Paris. Breakfast classics include the croque Monsieur, French toast with blueberries and pastries of every manner. Don’t forget to wash it all down with a pot of tea from Mariage Frères. 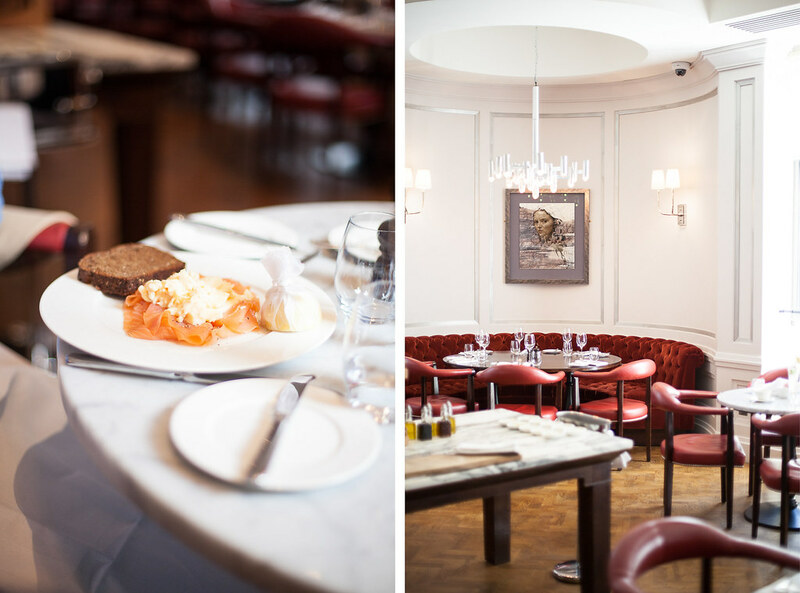 108 brasserie is a chic dining option located in the heart of Marylebone. It has a breakfast menu to accommodate the health conscious as well as the carb lovers. If you’re feeling good order the superfood egg white omelette with chia seeds and something green from the cold pressed juice menu, or if you’re feeling naughty opt for the viennoiserie basket and the ricotta hotcakes with pears and honey. Inspired by Grød, a porridge bar in Copenhagen, 26 Grains serves only porridge but like its Nordic precursor creates both sweet and savoury recipes. 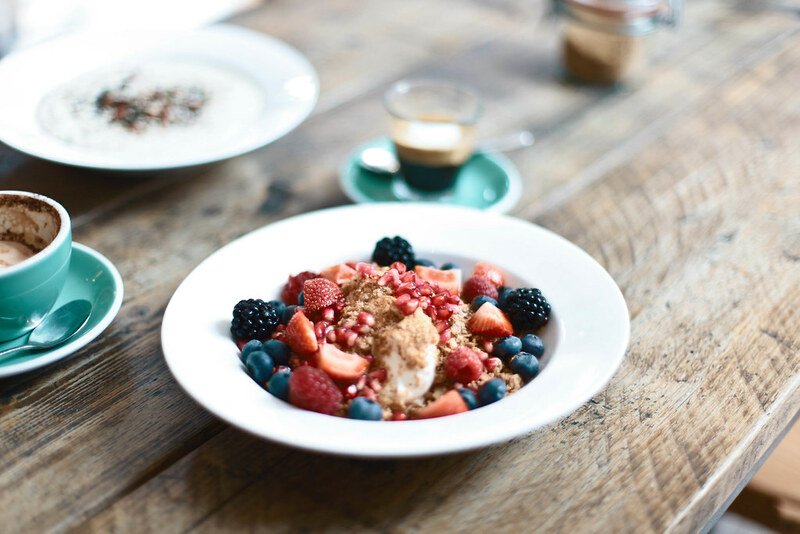 The interior is warm, welcoming and cosy and each bowl of porridge is innovative, comforting and wonderfully tasty. For a warming and spicy breakfast, opt for the Nordic Spice made with coconut milk oats, cardamom, cinnamon, ginger, turmeric, seeds, raisins, coconut yogurt and apple maple and pair it with a turmeric almond latte. Raw Press is a health lover's paradise. 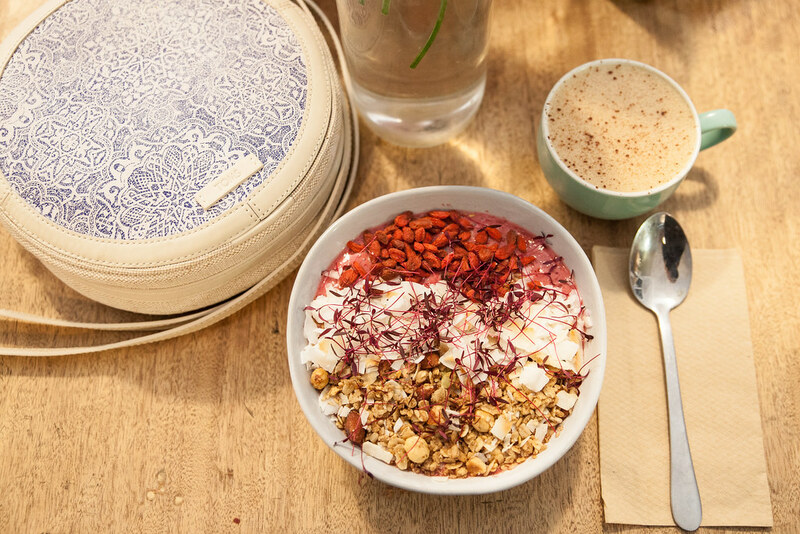 It is the best spot in London for a nutrient-packed breakfast. They offer a mean acai bowl, superfood breakfast buffet, smashed avocado on toast and buckwheat waffles. Pair your breakfast with one of their cold-pressed juices for the ultimate vitamin hit. Lovely post! Some great new places I can’t wait to try there! wow this looks so good, love the pictures!